Written by Katie Gallagher, European Patients’ Forum (EPF). In contrast with the UN Sustainable Development Goal on Health, disparities in access to healthcare in Europe are increasing and while universal health coverage is a well-recognised goal for all healthcare systems in the EU, this basic right is not yet a reality for all patients. Universal Health Coverage Day on 12 December marks the anniversary of the United Nations’ historic and unanimous endorsement of universal health coverage in 2012. On this occasion, EPF recalls it’s Roadmap which sets out actions that decision makers and other stakeholders, including health professionals and industry, need to urgently consider in order to achieve universal health coverage for all patients in the EU by 2030. 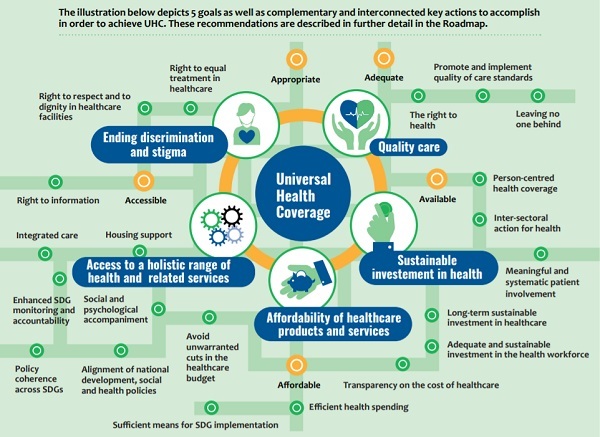 Universal health coverage is a human right and equitable access to person-centred high-quality health and social care should be accessible in a timely way to every patient who needs it, not only to those who can pay and regardless of gender, age, employment, residence status or geographical location. Regrettably, this is not a reality for all. EPF strives to eliminate disparities and barriers related to access and standards of care and health inequalities within the EU and advocates for a Europe where universal health coverage is a reality for all – a Europe where everyone, everywhere can access quality health care and services without facing financial hardship. The 2018 Universal Health Coverage Day shines a spotlight on united and collective action for more equitable health systems to achieve universal health coverage. EPF believes that political will and a fundamental change in Europe’s approach to healthcare access is needed to reach the UN Sustainable Development Goals and achieve universal health coverage for all, to ensure the rights of all patients are respected and to make health a priority in all policies at national and EU levels. Considering the increasing health inequalities and unacceptable barriers to healthcare access and unmet needs that patients face, towards the end of 2018, EPF developed a Roadmap to achieving universal health coverage for all by 2030. The Roadmap highlights the gaps and barriers patients face in accessing healthcare, aims to elevate health on the political agenda of the EU and Member States, and encourages more EU cooperation to improve access to healthcare. Ensuring quality of care; affordability of healthcare products and services; sustainable investment in health; access to a holistic range of health and related services and ending discrimination and stigma were identified by patients as being integral to achieving universal health coverage. In 2018, equity of access continues to be a high priority for EPF. Our 2016 survey on access to healthcare, the outcomes of the 2017 campaign on access to healthcare for all and resulting Roadmap to achieving universal health coverage for all by 2030 are a compass for the work we do to elevate the voice of patients in Europe. EU collaboration in health associated to a strong European health policy are key elements to meet the crucial needs of patients’ communities. With 72 members, representing the interests of an estimated 150 million people with chronic conditions, the European Patients’ Forum is campaigning to put what matters to patients at the heart of EU health policy and make health an issue that gets citizens to vote and make a difference in the European elections to be held in May next year. On 9 October, EPF launched its election manifesto, which presents concrete demands for the next five years (2019-2024) on EU policies on healthcare. In the light of the 2030 Agenda for sustainable development, there has never been a stronger case, or a more vital moment for Europe to work together to protect our health, and for this reason it is essential that this is not only maintained, but continuously improved. Health protection and improvement is a great success story of the European Union and closer cooperation and collaboration between Member States will empower and equip countries with the necessary tools and peer support to achieve EPF’s vision of a Europe where all patients with chronic conditions have equal access to high quality, patient-centred health and related care. Author: As Policy Adviser at The European Patients’ Forum (EPF), Katie Gallagher is responsible for EPF’s strategy on access to healthcare, developing and implementing activities in the context of EPF’s objective on sustainable healthcare systems for all. 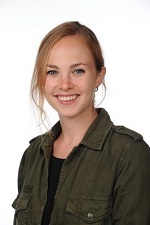 Katie is also responsible for developing EPF’s policy and advocacy work on non-discrimination in healthcare and employment settings, as well as the inclusion of populations vulnerable to social exclusion, medical devices and nutrition in the management of chronic and long-term conditions. Katie holds a Bachelor of Science with Honours (BSc Hons) in Biological Sciences (Medical Biology) degree from The University of Edinburgh. About EPF: The European Patients’ Forum (EPF) is an independent European umbrella non-governmental organisation representing 72 patient organisations including EU disease specific organisations and national coalitions of patients. EPF is an influential patient voice in European health and related policies and a driving force to advance patient empowerment and equitable patient access to care in Europe. EPF’s Roadmap: ‘Taking Action – A Roadmap to achieving universal health coverage for all by 2030’ highlights the gaps and barriers patients face in accessing healthcare and proposes actions that need to be taken in order to achieve universal health coverage for all patients in the EU by 2030. EPF’s Factsheet on the UN Sustainable Development Goal on Health and target on universal health coverage aims to build awareness and capacity of patient communities, in order to contribute to policy discussions on the topic. Published in GI-Mail 12/2018 (English edition). Sign up for GI-Mail here.